Pint size powerhouse! 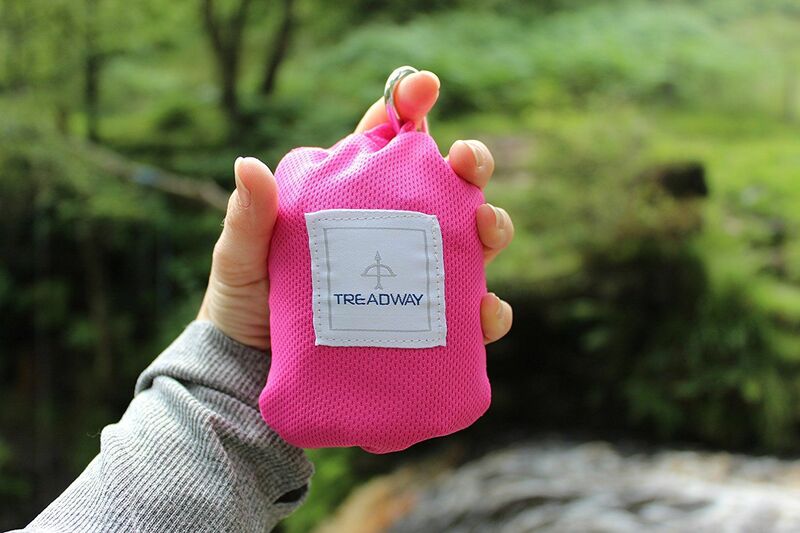 Our friends at Treadway have a Pocket Blanket that will come in handy for all your TrailblazerGirl adventures. Designed out of a durable, lightweight, water-resistant fabric, this blanket is useful at the campsite, on picnics, at the beach, on the boat, as a windbreak or sunshade, as a table cover – the options are endless! Smartly, there are pockets on two opposite sides so you can place sand or rocks to weigh down the blanket or store items out of sight. Alternatively, there are stake loops at each of the four corners to hold it down. It only weighs 4 ounces, but with dimensions of 74 inches by 49 inches, up to 4 people can sit on it comfortably! It comes with a stretch, carrying bag that makes it easy to repack the blanket any which way for a fast exit. The Treadway Pocket Blanket is a practical and super useful item to have on hand wherever your TrailblazerGirl journeys take you!